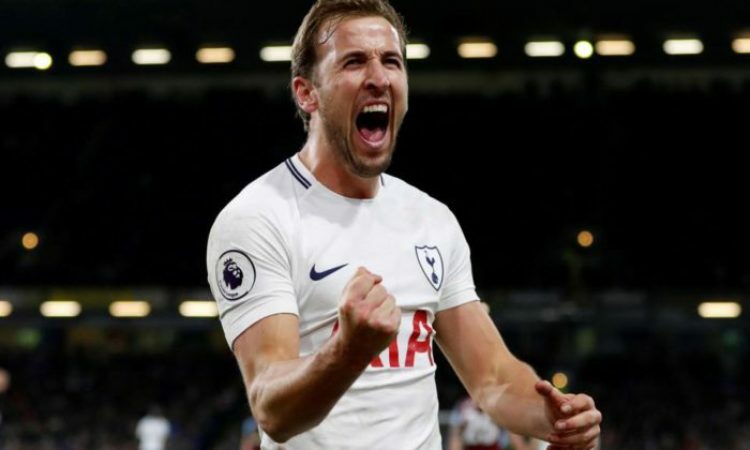 Tottenham forward,Harry Kane, opening goal in today’s Boxing Day fixture between Spurs and Southampton has seen him break Alan Shearer’s 23 year-old Premier League record for goals in a calendar year. Kane’s 22nd minute strike at the Wembley, was Tottenham’s first goal in a 5:2 win offer struggling Saints. It was the 37th time the forward has found the net in 2017, an unprecedented feat in the history of the Premier League. In Spurs last Premier League fixture against Burnley, the 24 year old had scored a hat trick moving ahead of Robin Van Persie(35 league goals in 2011) and equaling Shearer’s tally of 36 league goal scored while he was playing for Blackburn in 1995. With his strike,today, he is now the sole owner of the record and the second consecutive Englishman to attain the milestone. The England forward who got a second goal in the 67th minute of the game, equally moved ahead of Barcelona’s marksman Lionel Messi as the most prolific goalscorer across Europe top five leagues in 2017. Kane tally stands at 38 league goals in 2017 and 55 goals overall for Spurs and England. Messi, with 54 for Barca and Argentina, now finds himself a goal short and he will not be able to make amends this year as the Spanish La Liga will not restart till 2018. According to Opta, Kane has netted 48 club goals across all competitions in 2017, with only Paris Saint-Germain’s Edinson Cavani and Messi — who have 50 each — having more among players within the major five European leagues. In Spurs’ last Premier League outing on Dec. 23, Kane scored a hat trick in the 3-0 win against Burnley, his seventh treble of 2017. After that game Tottenham boss Mauricio Pochettino said he is running out of words to praise Kane. “I have to congratulate Harry, 36 goals, he has the same record that Alan achieved,” Pochettino said. “He is such an important player. I always praise him during three-and-a-half years in charge because not only with goals, but with his attitude, professionalism, ethics, how we works on the pitch is fantastic.